Haro continues to re-up the retro with their bike lineup…this time with the soon-to-be-released Group 1 RS2. This 80s-inspired cruiser is going to be available in late summer in 24, 26 & 29 inch models. To get the hype going, Haro team manager Joey Cobbs took the 24″ Group 1 RS2 for a ride and shared the results on Instagram and Facebook. 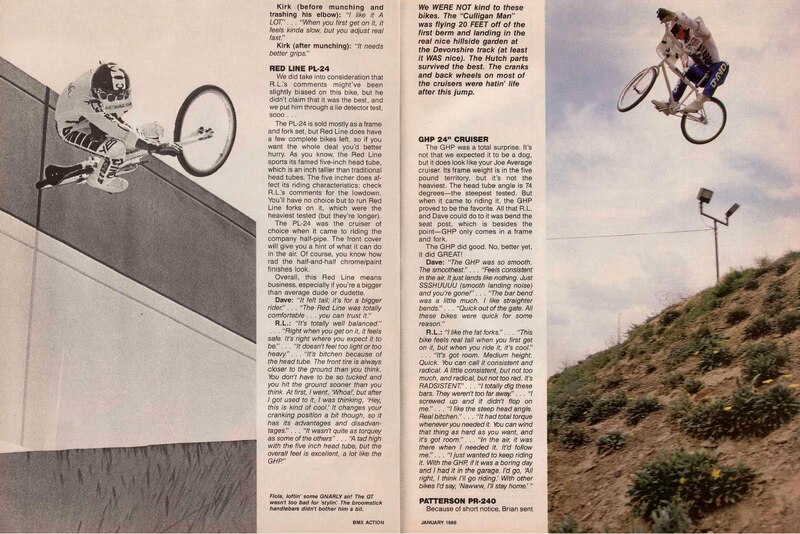 And despite being a race-style cruiser, Cobbs had no problem getting his shred on. In fact, it kinda reminded me of when the BMX Action test crew would take race cruisers and test them by taking them jumping and riding half pipes. Cobbs was definitely in more of a “street session” mode vs. “snapping gates” mode with this ride. Which makes these pictures so much more fun. Hope to see more teaser shots (and maybe a video?…wink,wink; nudge, nudge) like this in the future for Haro’s new cruiser.